Originally dedicated in June of 1889 at the corner of N. Main Street and Highland Avenue in Ada, Ohio, the 113-year old home of the First United Methodist Church was destroyed by a fire in March of 2012. 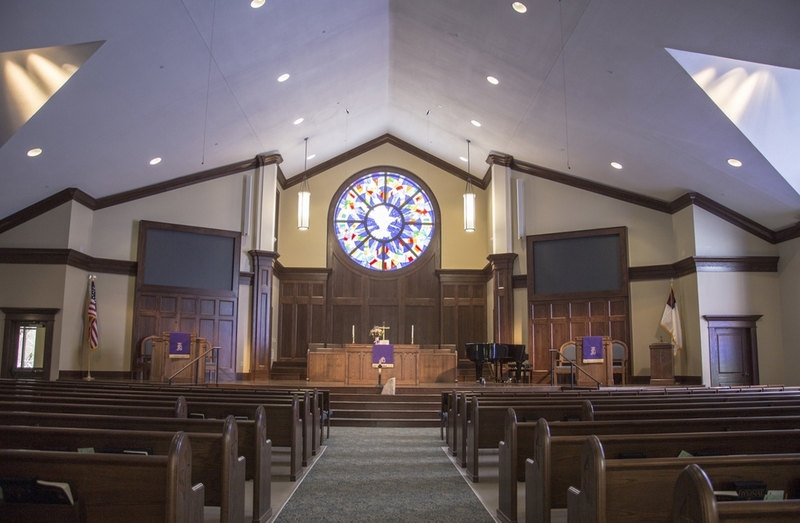 Two years later, the congregation, along with the help of RCM Architects, Inc., rebuilt their house of worship. 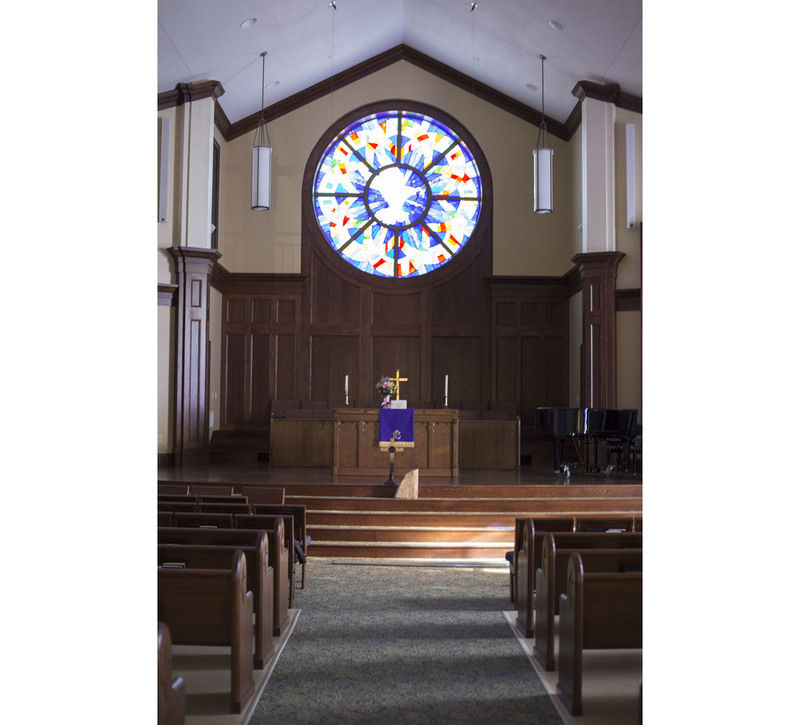 RCM is proud to be the architectural firm chosen to work with the volunteer subcommittees who helped drive the design and material selections for the church. 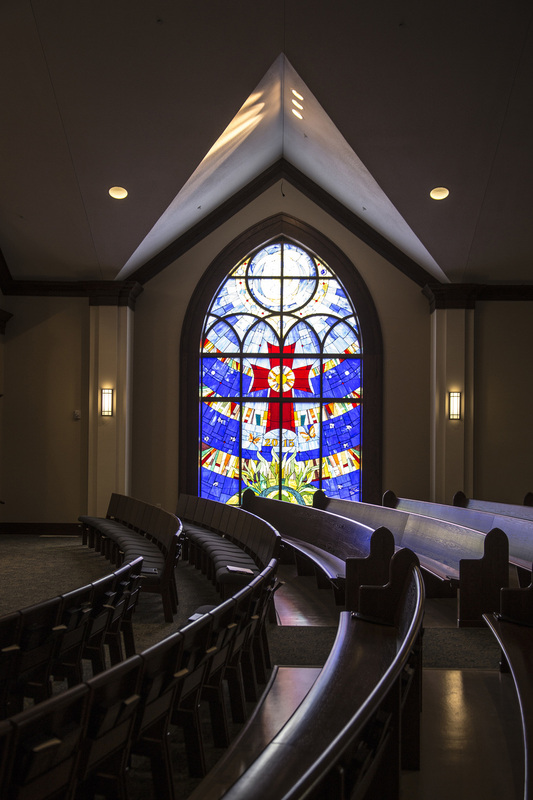 The $6 million dollar project contains features of Gothic-style architecture, paying homage to features of the old, stone Church building. 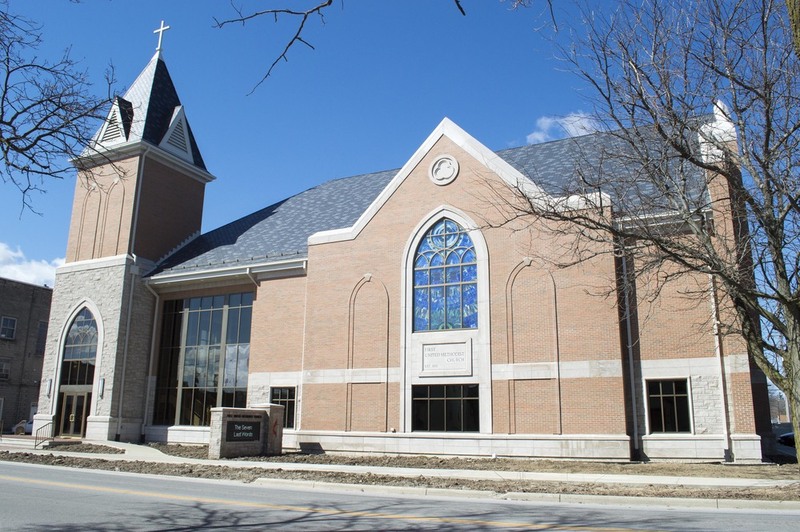 The new stone and brick building will have 25,000 square feet of usable space, which includes a second-floor sanctuary space accommodating 240 people, a fellowship hall and commercial-grade kitchen on the first floor, as well as additional rooms for Children's Ministry and Christian Education. One of the most exciting features of the new church is the "front porch." 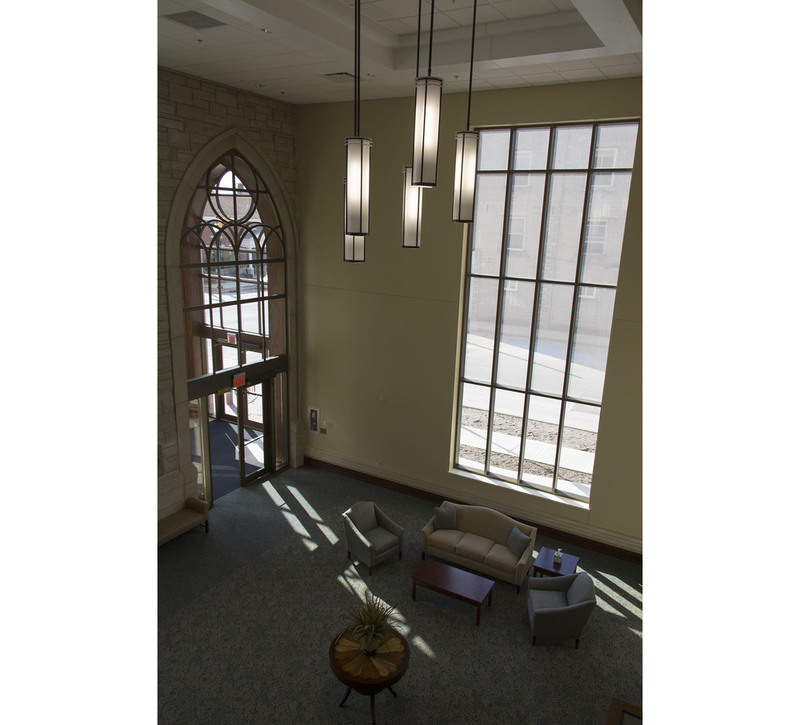 All the ministries of the church are unified around a two-story gathering space. With high windows on both Main & Highland, the "front porch" is a beacon of fellowship to the community. 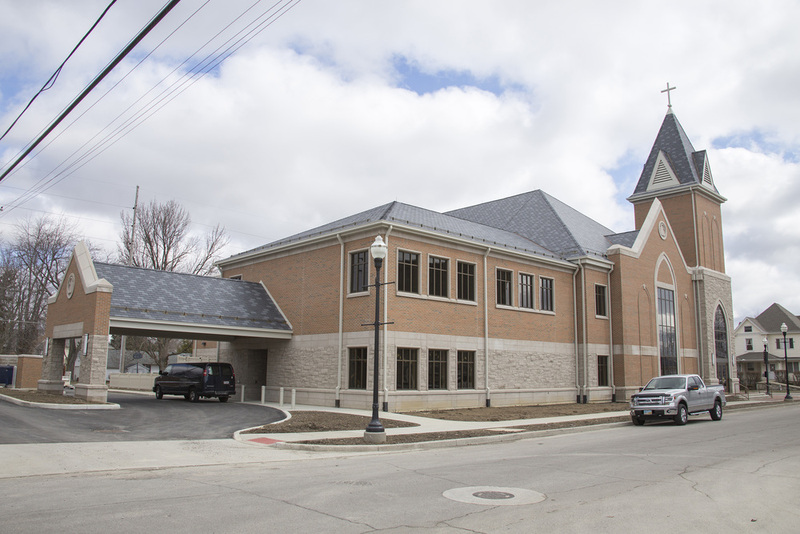 The site design pushes the building's placement a little farther back from N. Main Street than the former church. This new location will allow for a welcoming plaza at the intersection with Highland. A seasonal landscape palette of perennials and ornamental grasses will highlight the plaza and frame windows of the entry vestibule. 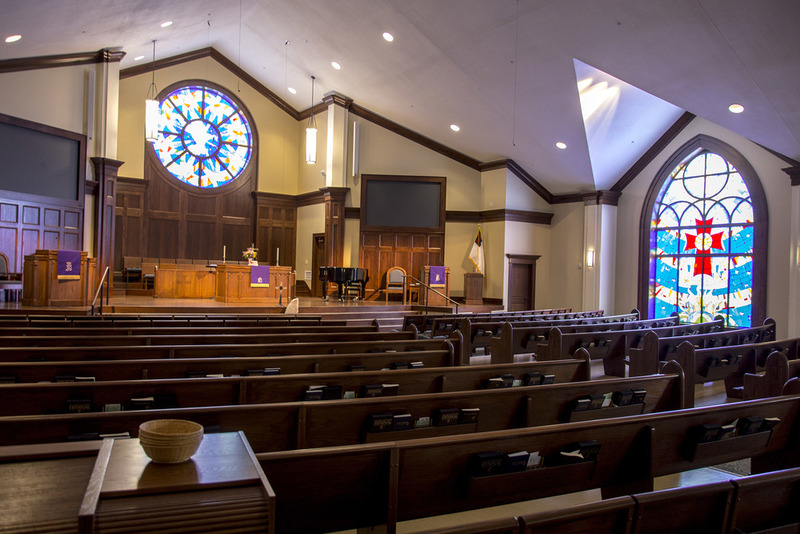 The Church was dedicated on April 12, 2015.